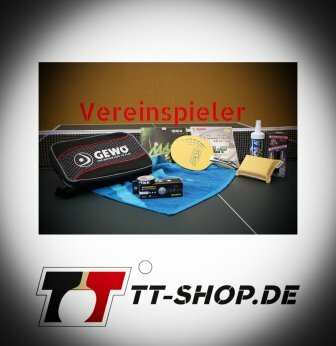 This table tennis bat is not only one of the bestsellers at TT-SHOP.COM, it is also the test winner in the category "Price-Performance Ratio". 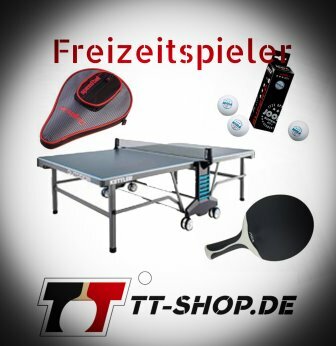 Behind the 6 table tennis rackets compiled by TT-SHOP.COM, there is a quite simple consideration: We want to recommend a solid and reliable product without the burden of our customers and players to do a never-ending search. The TT bat described here is suitable especially for allround players who want to create a maximum of spin and who do not want to dig too deep into their pocket. 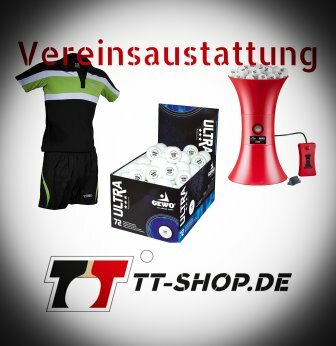 Our TOP Offer - Best Prices - decorated by TT-SPIN.DE, a blogging portal completely independent of the market The legendary Stiga Allround Classic blade combined with the Palio CJ 8000 Extreme Spin is very suitable for allround players. Our offer provided here (compiled by experienced table tennis players and coaches) uses Palio rubbers (thickness 2,0 mm), which are well known for their high amount of spin, plus their speed behavior at around the controlled All+ area. Especially junior players, career break returners, or players who expect much control and spin will be very happy with this bat. As an option, the rubbers are also available at 1.8 mm. This ensures even more control and safety. The Allround Classic is the very first blade produced by Stiga, which is made for competitions. Since its introduction back in 1967, many world-class players used this blade. Its enormous popularity among world-class players is due to the balance between speed, weight and feeling. Even today, the Allround Classic is one of the most popular blades. With more than 1 million sales, it is probably the best-selling blade in the world. Even when moving quite slowly, the Palio CJ 8000 Extreme Spin produces enormous rotation. For top spin players, the CJ 8000 offers the best options for an attacking game rich in rotation and spin. Also serves can be delivered with lots of spin, which may be very problematic for the opponent when returning the ball. The "catapult effect" is comparable to Japanese classics, and speed lies within the offensive allround area (or controlled offensive area). This blade is highly suitable for players who mostly do topspin and backspin. Handles are available in flared and straight form. 85% of all table tennis players use flared handles! If you are not sure which handle to use, try the flared form. As a standard, the forehand side is red and the backhand side is black – but this can be chosen individually. The bat will be mounted and assembled thoroughly by trained experts (in case you want us to do this) and will also be equipped with edge banding tape to protect the edge. As an option, bat cases and cleaners (spray), including a sponge for the optimal bat protection, are also available. Sealing the wood/blade is also recommended, so that "aged" rubbers may easily be removed. The table tennis bat Stiga Allround Premium Spin is one of the bestsellers of this online shop. The following overview is not intended to confuse you. Quite the contrary, it shall help you to find an individually suitable, long-lasting racket for yourself. Knowledge doesn´t hurt you! The product descriptions contain many tips regarding the table tennis material used. Have fun reading through!